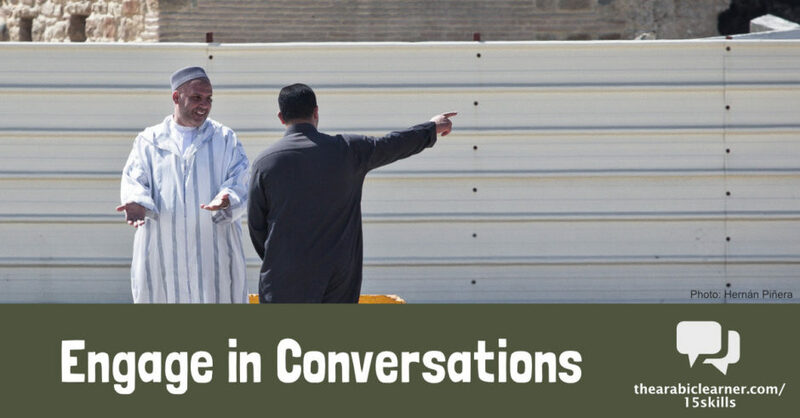 Have real Arabic conversation, whether spoken or written, with Arabic speakers. True conversations, where there is a give and take of information and interaction, will bring into play all of your receptive and productive skills in Arabic – the skills that are required to understand (receive) and produce language in a way that allows actual communication. The satisfaction of having understood someone and having been understood, even on a small level, will motivate you like very few other things. And the frustration of communication breakdown, where you are not able to communicate as you would like, will also sharpen your focus on areas in which you can improve. 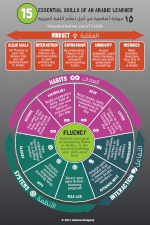 This article is based on the 15 Essential Skills of an Arabic Learner. All of the Arabic skills that you learn are for the purpose of interacting in Arabic. Listening, speaking, reading, and writing can be dealt with as isolated skills, but ultimately their purpose is to be used together to interact in real conversations with Arabic speakers. Arabic conversation can take place through writing, but I have found spoken conversations to be the most valuable on an everyday basis. Writing as a medium for immediate conversation has increased due to the use of social media in the Arab world, but verbal conversations are, for most of us, the most satisfying and useful for learning (there are some people who are exceptions to this, and I value and honor their focus on written communication). Part of our problem as Arabic learners is that getting into conversations can be difficult, even when there is opportunity to do so. Yesterday (August 28) marked 25 years to the day when I first arrived in Egypt. Looking back, great conversations have been one of the things that have made it fun to be here over that length of time. 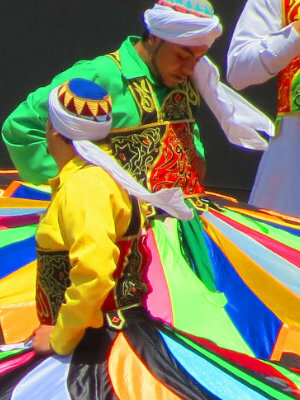 But as I look back, I also realize that I have gone through certain seasons in which engaging in Arabic conversation has been more difficult.